Storm Roof Restoration Repair in Miami FL is something Hialeah Roof Repair is well versed in. Remember we're South Floridians. We know South Florida Storms. The "Hurricane Season" can wreak havoc on our lives and livelihood in a way that some only have nightmares about. 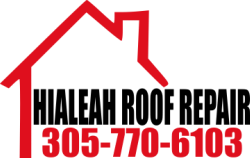 When a storm blows through Miami or any part of South Florida and leaves us with Storm Damage you can rely on Hialeah Roof Repair to answer the phone and be there for you. We will provide you with our best in the industry response. Hialeah Roof Repair is in the know on the latest technology, Laws, State and Local Mandates and Insurance Industry changes in Storm Roof Restoration. This affords us the opportunity to provide you with the very best options for Full Roof Restoration that is compliant with Insurance Standards in a way that does not make your rates go up. Storm Roof Restoration is a source of Pride for us. Don't go it alone. Stay away from downed power lines. Dont move heavy debris from the roof. Let us handle it. Stay in a safe spot and Give us a call. Remember also to contact your insurance company and look into the value of the repair or replacement when it comes time for your taxes. Did you know that a good Roof Maintenance plan could be a great Tax Deduction? Check out or info on Tax Deductible Roof Maintenance. It's worth the read. When you are in a Emergency trust us, the "Local Guys" to be there for you. We won't let you down.